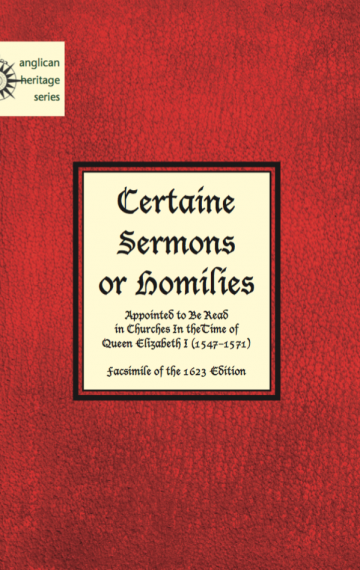 In order to ensure correct teaching in an era wherein many divergent perspectives were both common and tolerated, the Book of Homilies was a staple in English worship in both the interreg- num and the reign of Elizabeth the First (Queen Mary suppressed Cromwell’s version and issued one of her own, not included in the current volume). A second book of homilies book was issued in 1563. Both books are included in this historic volume, an essential asset in the library of any scholar of this period. Although some modern folk consider the type of the period difficult to read, it is easily readable with just a little effort, and gives the reader a sense of how these works appeared to those who actually used them. History becomes present to us, through more than just the word. Other facsimile editions have been prohibitively priced. The Apocryphile Press is pleased to pres- ent this affordable, essential volume as part of our Anglican Heritage Series.